Cirque du Soleil-Paramour will officially land on the Main Stem on May 25, when the show opens at the Lyric Theatre. Directed by Philippe Decouflé, the production features a 38-member cast that blends the best in circus arts and Broadway razzle dazzle. 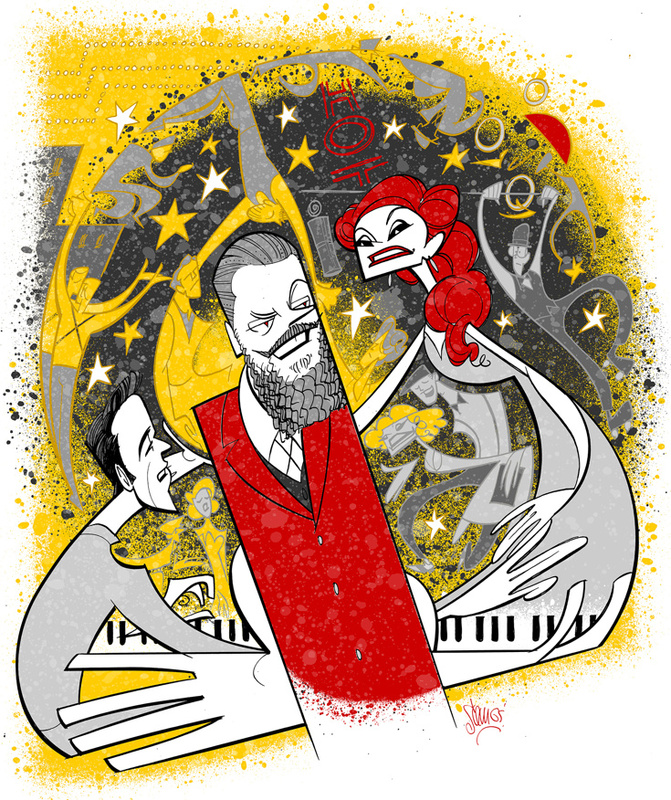 To celebrate the Great White Way premiere of the extravaganza, which follows a love triangle set in Golden Age Hollywood, Broadway.com resident artist Justin “Squigs” Robertson penned this sketch. From left to right there's Ryan Vona as Joey Green, Jeremy Kushnier as A.J. Golden, and Ruby Lewis as Indigo James, along with Sarah Meahl as Gina, Bret Shuford as Robbie and Kat Cunning as Lila. Broadway.com wishes the Paramour team a spectacular opening night.